For retailers, it's a race to the finish line to solve the crucial last mile of delivery. FedEx hopes to help its retail partners win that race. The expediter is teaming up with DEKA Development & Research to test a robot to handle home deliveries for retail partners ranging from Walmart to Pizza Hut. The robots are battery-powered and outfitted with cameras and software to help them avoid obstacles as they roam sidewalks and roadways. 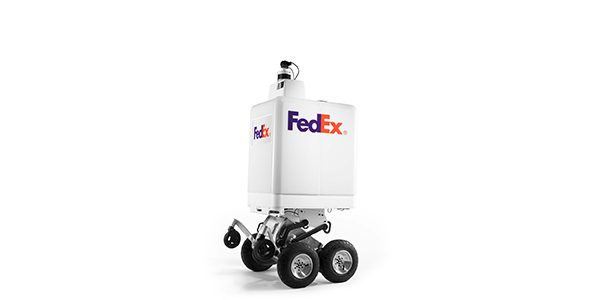 FedEx will work with its retail partners to determine if autonomous delivery is the most cost-efficient solution for the last mile, which accounts for at least 50 percent of total delivery costs. E-commerce sales represented 51.9% OF retail sales growth. The largest share of growth since 2008, when e-commerce accounted for 63.8% of all sales growth. Recognizing where and how your customers like to shop is critical to maximize spending, maintain efficiency, and ensure longevity. Amazon is adjusting its retail strategy to do just that.